(Seychelles News Agency) - Moroccan Special Envoy said he will find means to further develop cooperation with Seychelles in his meeting with the Seychelles President on Thursday. 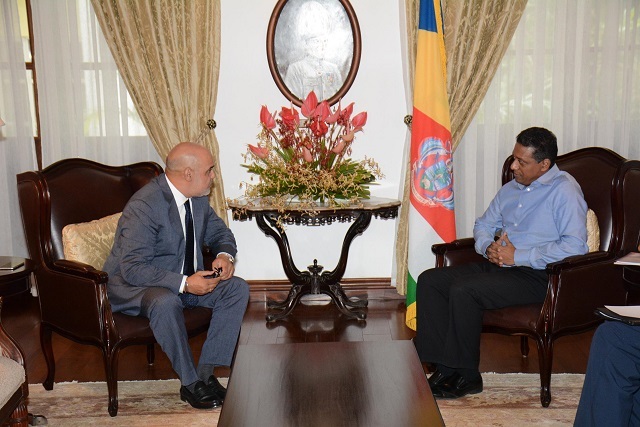 Mohammed Benjilany called upon President Danny Faure at State House to discuss relations between Morocco and Seychelles, an archipelago in the western Indian Ocean. He also conveyed a message from the King of Morocco to President Faure. 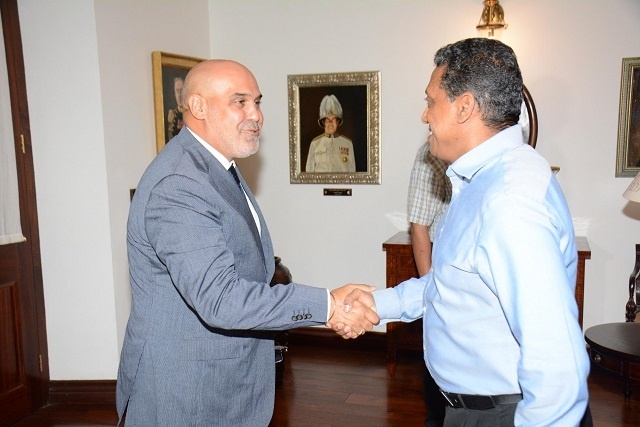 Benjilany thanked Faure for Seychelles support vis- a-vis Morocco’s return to the African Union. “Seychelles is among many other African countries that have commended Morocco for such a move, as they were of the view that Morocco had its place in the AU,” Benjilany said. Morocco was readmitted to the African Union after a 33-year absence at the 28th African Union (AU) Summit on January 28. Out of the 54 states of the AU, 39 approved the return of Morocco. Morocco left what was then known as the Organisation of African Unity (OAU) in 1984 in a dispute over the status of Western Sahara, a desert state that has been the centre of an independence struggle for several decades. The Special Envoy also said that Seychelles and Morrocco are partners in various cooperation programmes. At present, there are Seychellois students studying in Morocco. “We can find means to further develop these cooperation. Morocco is a country well versed in a number of fields from which Seychelles can benefit. Faure travelled to Morocco in November last year to join other world leaders at the United Nation’s 22nd Conference on Climate Change (COP22).